Scientists around the world hail "measurement revolution." "Celebrations and standing ovation as the vote is accepted," the Bureau of Weights and Standards, which hosted the event where the vote was taken, said in a tweet featuring a photo of packed auditorium. "This has been a measurement revolution!" 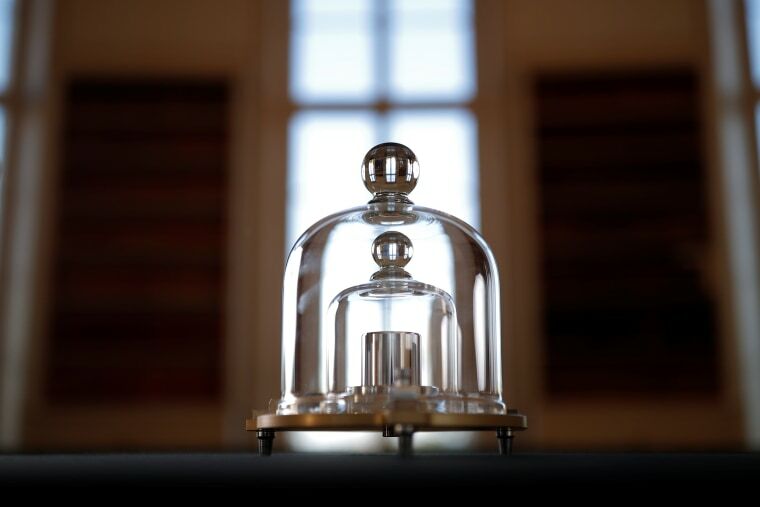 Previously, the kilogram was defined as the mass of a specific physical object: a shiny metal cylinder that since 1889 has been stored in a vault on the outskirts of Paris. Cast of a platinum-iridium alloy and roughly the size of a votive candle, the International Prototype of the Kilogram (sometimes called "Le Grand K"), represents the mass of one liter of pure water at its freezing point. "It’s been a challenge for our community since the time of the French Revolution to find a standard for mass that is available 'for all time for all people,'" Milton said, referring to the catchphrase of the developers of the original metric system. "We have now found that we can achieve what was first conceived over 200 years ago." If Milton is enthusiastic about the redefined kilogram, he's not alone. At the National Institute of Standards and Technology (NIST), the federal agency that watches over the United States' reference kilograms on its Gaithersburg, Maryland, campus, some researchers were so enthusiastic that they got themed tattoos. Pratt's tattoo bears a long stream of digits representing the Planck constant, which is designated by a lower-case 'h,' and the French words "A tous les temps, a tous les peuples." English translation: "For all times, for all peoples."